Update on M Winkworth (WINK). Summary: The London estate-agency group was never going to issue stunning figures. Nonetheless, a credible performance was reported and I am impressed the business continues to fare well against sector rival Foxtons. Note, too, that WINK’s average percentage commissions actually increased — so perhaps online competition is not that big a threat after all. Meanwhile, the books remain cash rich, the outlook does not seem too bad while the 10x multiple and 6% yield appear modest. I continue to hold. Click here to read all my WINK posts. January’s trading update had already ensured these 2017 results would hold no surprises. As WINK had forecast, revenue was indeed “less than 5% lower than 2016” — the top line dipped 3% — while profit before tax came in at £1,376k versus a projected “£1.3m”. The firm’s subdued first half was never going to make 2017 a vintage year, and this annual statement reiterated the “political developments” and stamp-duty changes behind the “testing” London housing market — from which WINK derives 80% of its business. At least the dividend inched higher to reach a new peak. So sale prices held up, even as transaction volumes declined. What’s more, the average commission rate actually increased. I had always assumed a standstill London property market — and the (apparent) growing popularity of cheap online agents such as Purplebricks (PURP) — would harm commission rates. It would seem not — or at least not yet. I always like to compare WINK’s achievements to those of rival London agent Foxtons (FOXT). Back in 2013, WINK’s franchisees earned 34% of FOXT’s annual sales and lettings revenue. Last year they earned 42%, and even reached 45% during the second half. I note FOXT’s sales income dived 15% during H2 2017 — WINK’s gained 12%. I should add that WINK’s H1 2016 was inflated by a buy-to-let “mini boom” ahead of greater stamp duty on second properties. WINK has a long-stated target of earning 50% of its income from lettings, which ought to be a more stable source of revenue over time than collecting commissions from property transactions. The 50-50 split is inching nearer, with 47% of total franchisee income coming from rents during H2 2017. Back in 2013 the ratio was 35%. WINK confirmed its estate-agency franchisees generated gross revenue of £46.2m during 2017 — broadly equal to that witnessed during 2016. The near-12% cut is represented by an 8% slice of franchisee sales and lettings income, with the balance consisting of revenue from various franchisee support services alongside franchise establishment/re-selling fees. Certainly the group’s capital expenditure continues to be adequately reflected within the earnings calculation by the combined depreciation and amortisation charge. Meanwhile, there was a useful cash inflow from working capital. WINK’s working-capital movements include sums lent to franchisees to help fund their businesses. In the past, these movements have generally shown WINK advancing — rather than collecting — the money. However, this time some loans seem to have been repaid — entries on the balance sheet suggest £400k was collected. The forthcoming 2017 annual report should reveal the actual amount, and how much the franchisees still owe. For now I estimate outstanding loans to be approximately £800k, equivalent to 6p per share. The franchisee repayments helped free cash reach a very useful £1.5m, of which £917k was paid as dividends and £608k was added to the cash pile. The bank balance finished the year at £3,579k, equivalent to 28p per share. The books remain free of debts and pension obligations. “We are pleased that our updated website, launched in March 2017, has delivered more leads to our franchisees despite a weak second half of the year in terms of overall applicants. However, there is no plan to become an online-only service. Mr Agace told me at an AGM that the firm would remain a full-service agency, and his narrative accompanying these results underlined that commitment. As before, my best guess of the future is that traditional agents may see their fees squeezed a little by online alternatives, but won’t endure complete destruction. I still maintain the overriding challenge for online agents is being able to grow their businesses without needing as many staff as traditional agents. You see, an estate-agent employee can manage only so many property transactions to completion, and the lower fees charged by an online agency could mean its staff handling many more customers to earn a decent wage. Ultimately a house seller wants his/her home sold and to get the money in the bank — simply paying upfront for a Rightmove listing may not always get that same result. Well, at least that’s my view. Anyway, I see PURP’s latest trading statement has owned up to a UK sales wobble. I would have thought any pioneering online ‘disruptor’ could easily navigate “underlying macro issues”, “poor weather” and a so-called “training initiative”. “The underlying fundamentals of the market remain positive. Sellers [in London] are accepting these reductions and this, in turn, is in some areas leading to improved levels of transactions despite applicant numbers remaining at low levels. “On the lettings side of the business, our applicants are tracking at some 12% ahead of the same period of last year, which should support further growth in 2018. We believe that a broadly flat market will continue to suit our franchise model. Taking WINK’s 2017 operating profit of £1.3m and applying 19% standard UK tax gives earnings of close to £1.1m or 8.3p per share. Adjusting the £15.3m (at 120p) market cap for my £4.4m guess of cash and franchisee loans, I arrive at an enterprise value of £10.9m or 86p per share. 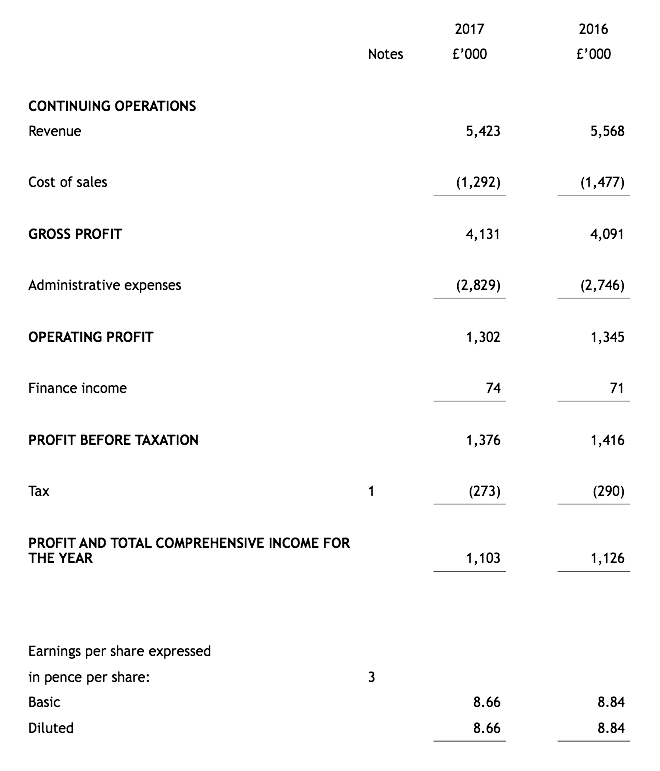 Then dividing that 86p by my 8.3p per share earnings guess gives a P/E of 10. That rating does appear good value to me. Mind you, this share has traded on that multiple for some years now… and not even the 7.25p per share dividend and current 6% income have tempted extra buyers. I guess gains from this shareholding may only materialise once the London property market perks up and earnings start to climb towards their previous peak. This entry was posted in M Winkworth, My Shares and tagged M Winkworth, WINK on March 29, 2018 by Maynard Paton. It seems revenue declined a fraction due to lower marketing spend, which does not sound too bad in light of the standstill London property market that WINK serves. 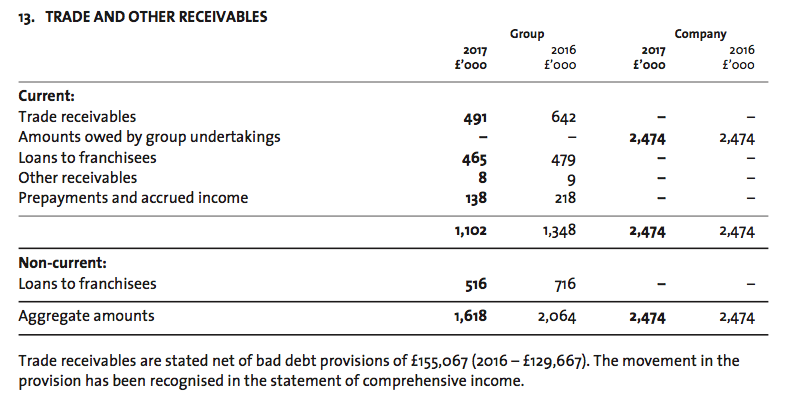 The 2016 annual report (point 6) showed WINK lumping a £106k intangible write-off together with the normal amortisation charge, which I thought underplayed the group’s profitability somewhat. The restated £118k ‘loss on disposal of fixed assets’ represents the aforementioned £106k and an extra £12k of similarly restated depreciation. It is now clear the 2016 profit figure included a £100k-plus write-off. Each WINK employee costs on average £48.5k (vs £46.6k last year) and earns average revenue of £164k (vs £174k last year). Employee costs at 30% of revenue compares to c26% for 2016 and 2015, and sub-24% for prior years. I trust WINK can now keep a lid on that 30% proportion, and that the extra pay will translate into extra revenue in due course. I hope the 20% pay/bonus increase followed a market review of board wages, as I would be disappointed to see a 20% hike awarded following a flat year for profit and revenue. Perhaps the appointment of a new, and full-time, finance director, prompted a pay review. I should add that Mr Agace’s pay/bonus has climbed 34% during the last five years, versus 48% for the ordinary dividend. So at least shareholders have seen their income expand at a greater rate. Trade receivables of £491k represent 9.1% of revenue — the lowest percentage since 2011. These figures follow on from the improved collection times implied by the 2016 annual report. Perhaps the new finance director is getting a better grip on cash management. Total loans to franchisees fell by £226k to £981k, which, as I noted in the Blog post above, helped support the group’s wider cash generation. Loans of £981k equate to 8p per share. ** Shareholders must be on the Winkworth share register on this date to receive this dividend. Bought WINK as a result of your blog a while back. Liked your analysis. Think I like about WINK is its resilience – their market might be in a major lull but they seem to have a very robust business model. Siting on a tidy profit and I’m getting a large special dividend ! Keep up the good work! Thanks BerksBee. I am hoping the staff at WINK keep up the good work, too. A 9p per share cash handout is on its way. 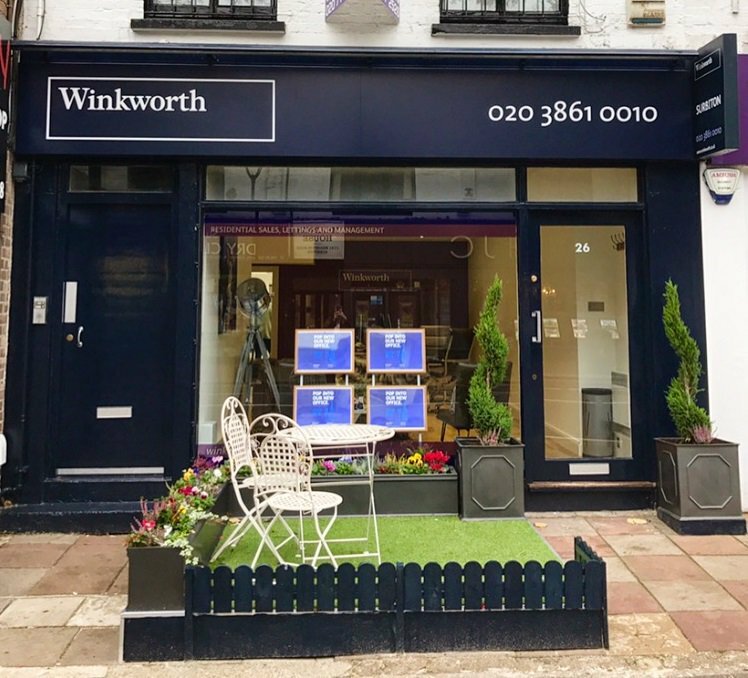 M Winkworth plc (“Winkworth” or the “Company”), the leading franchisor of real estate agencies, is proposing to return approximately £1.146 million of surplus funds to its shareholders by way of a capital payment (the “Return of Capital”), subject to finalisation of the process and shareholder approval. The effect of the proposed Return of Capital will be that for every fully paid ordinary share of 0.5 pence in the Company held at the Record Date, a shareholder will receive 9 pence in cash. The proposed cancellation of the Company’s share premium account of approximately £1.793 million will enable the Company to make the Return of Capital to shareholders of approximately £1.146 million in aggregate. The balance of approximately £0.647 million, less the costs of the Return of Capital, would then be transferred to the Company’s profit and loss account thereby creating additional distributable reserves, which may be utilised by the Company for facilitating future returns of cash to Shareholders. A circular, containing further details of the Return of Capital, will be posted today to the Company’s shareholders (the “Circular”) along with a Form of Proxy to vote at a General Meeting to be held at the offices of Norton Rose Fulbright LLP at 3 More London Riverside, London SE1 2AQ at 10.30am on 9 July 2018. Year-end cash was £3,579k, so this capital return will leave £2,433k. Add on the £981k franchisee loans and cash/franchisee investments come to £3,414k or 27p per share. Using my 8.3p earnings per share guess as per the Blog post above, my EV/EPS sum is (130p share price less 27p)/8.3p = 12.5. So not an extended rating, but this share has traded on a single-digit multiple in the past. I am not sure what to make of the chief exec saying he remains “alert to acquisition opportunities“. I had the impression the management was not interested in buying other firms. The idea of handing money back to shareholders only then to ask for it back to support an acquisition is not great. In contrast, I would like to think WINK would be an acquisition target for another agent. Quoted agents Belvoir and Property Franchise have made substantial acquisitions during recent years, and Belvior even proposed a merger with Property Franchise not so long ago. I would be very surprised if Belvoir or Property Franchise had not considered WINK as a target. Apologies for the tardy comment – but I bought in at just over a £1 a while back based on your analysis. Now with divs I am at 95p. There’s a lot to like about WINK. Thanks for sharing your thoughts. Really useful – missed this news as I was away. I take it as a sign of confidence – even if the message was a bit confusing. The Q1 dividend of 1.85p per share will be repeated for Q2 and ex-div date coincides with the ex-entitlement date for the 9p per share return of capital. WINK’s annual dividend look set to be 7.4p per share. The 9p return of capital ought to be paid around 8 August, with the Q2 div paid two weeks later.